This timeless beauty, as part of the Vera Wang Love Collection, embodies elegance with a dazzling emerald-cut diamond centerpiece. Crafted from 18ct white gold, this captivating ring is set to sparkle with a total of 1.95ct diamonds capturing the light from every angle. 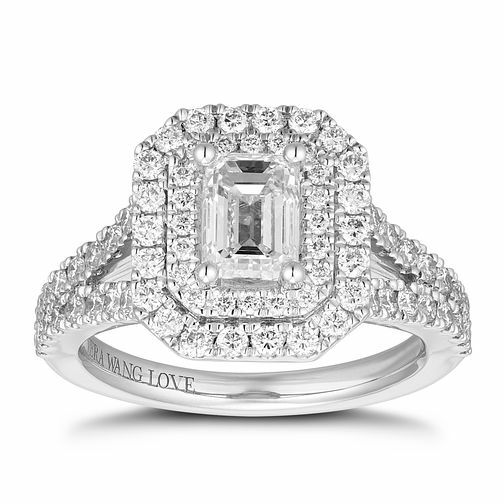 Capture hearts with this elegant Vera Wang ring.